The OnePlus 5 may have come out, but that doesn’t mean the company has forgotten about the 3 and 3T. 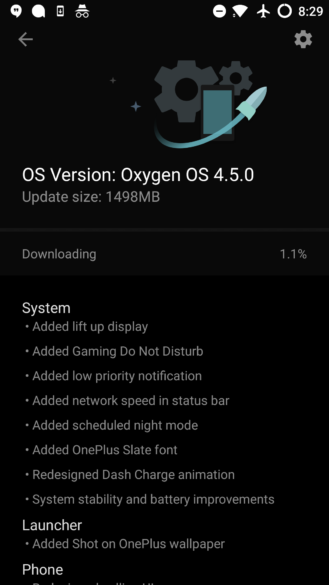 Earlier today, the two phones were updated to Oxygen OS 4.5.0, introducing a pile of new features like “lift up display,” Gaming Do Not Disturb, low priority notifications, and OnePlus‘ Slate font. Most of the changes in this release were already available on the OnePlus 5, but it’s great to see them trickle down onto older hardware. The OTA update is hitting devices now, and it’s 197MB in size. If you root or have a need to download the full image, it’s closer to 1.5GB. As always, if you don’t see the update on your device just yet (it isan incremental roll-out), you can use a VPN set to Germany to trigger the download early, at which point you can then disable the VPN and download at full speed. did not make its way into this build. All of these new changes in Oxygen OS also live in different places, but we’ve updated our own device and documented where all the most interesting bits live, in case you don’t have time to go digging around in Settings yourself. 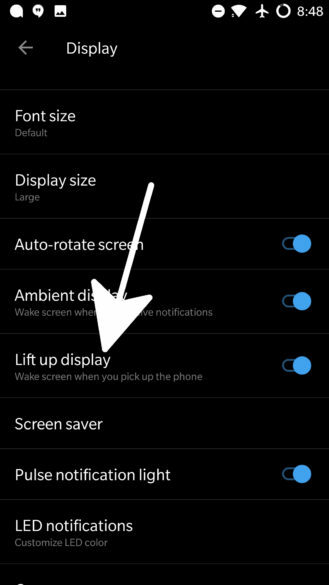 “Lift up display” is poorly named, but descriptive. 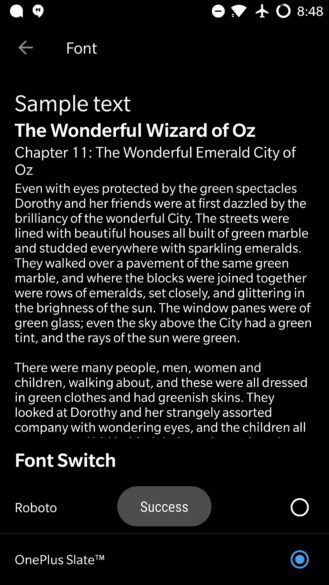 Just like the lift to wake on Pixel devices and the OnePlus 5, it allows your OnePlus 3/3T to turn on the display and show a bit of black and white notification content when you grab it. All it requires is that the Ambient display just above it in Settings -> Display be enabled. And, of course, for you to lift your phone up while the screen is off. 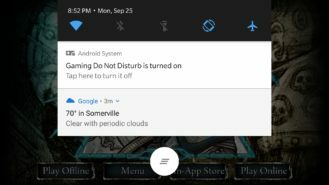 Gaming Do Not Disturb will come in handy for a lot of people, probably even outside of games. The feature allows you to block notifications and lock capacitive buttons while specific applications are open so that you don’t accidentally exit them when you don’t mean to. So if you get into a particularly intense gaming session, you won’t have to worry about accidentally exiting the app as you flail in frustration. 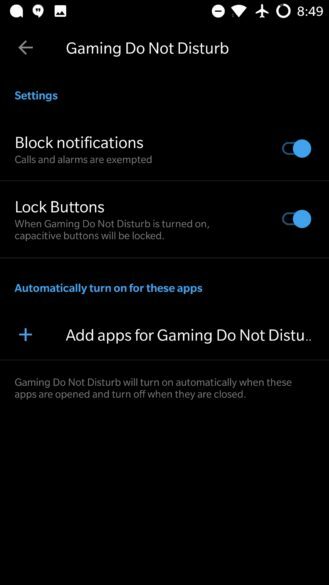 You can access Gaming Do Not Disturb in Settings-> Advanced -> Gaming Do Not Disturb, and from there it can be enabled or disabled for individual applications. You can customize the setting to block notifications (outside calls and alarms) and disable hardware buttons as you prefer. 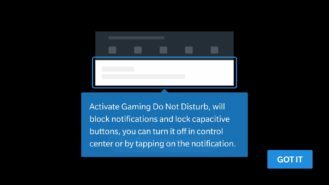 To exit Gaming Do Not Disturb mode, you’ll need to open the ongoing notification it creates and tap that to disable. Low-priority notifications are what you’d expect. They don’t trigger sounds, don’t peek, and don’t set the LED to cycle. They also won’t appear on the lock screen or overall status bar. So it’s a perfect setting for apps you might want to manually check notifications from, without being bothered by as they come in. 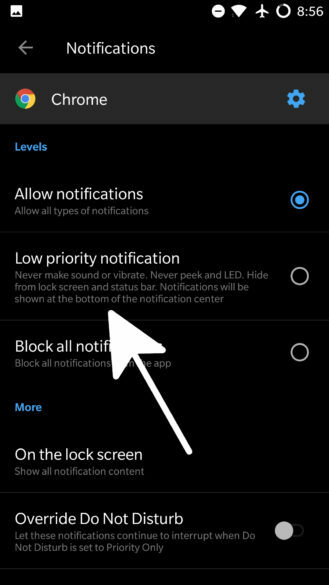 The low priority notification option appears with all the other per-app notification options under each app in Settings -> Notifications. 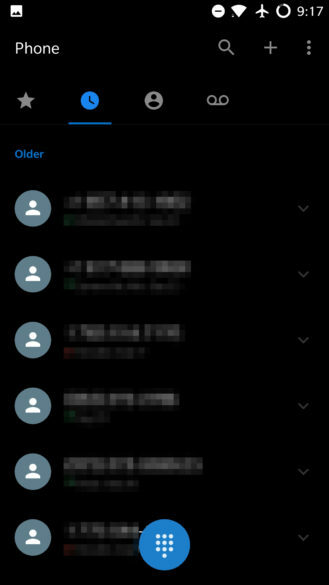 The phone app UI has also been changed a bit, with a slightly tweaked tab layout. There are also a handful of other minor changes, like a “Shot on OnePlus” watermark for photos, a redesigned photo editor in the Gallery app, a new Dash Charge animation, scheduled night mode, and a “secure box” for the File Manager. OnePlus‘ Slate font was originally introduced in an update to the OnePlus 5 at the beginning of this month. It might not be to everyone’s style, but it’s an inoffensive font compared to some that manufacturers include in ROMs. It would appear that the BlueBorne vulnerability has even been patched. At first, we thought the device was still vulnerable since Oxygen OS 4.5.0 is still running the August security patches. But according to the BlueBorne Vulnerability Scanner by Armis, it has been patched for the vulnerability. I’m not entirely sure what detection method the application uses to determine that. But if it’s correct, that means OnePlus 3 and 3T users are just a bit more secure now. Although the logs don’t mention it, and the security patch level would imply otherwise, the BlueBorne Vulnerability Scanner by Armis claims that the device has, in fact, been patched. We’ve updated the article to reflect that information. Downloads have been posted, so if you haven’t gotten the OTA, or you prefer to flash manually, you can.